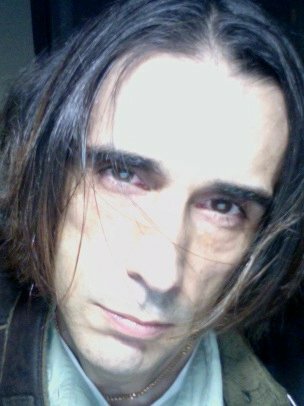 I am a Spanish-born writer, poet, musician and artist who grew up in Venezuela and England. After graduating with a degree in Fine Arts and Graphic Design, I spent eleven years in the Amazon as a hunter, an Eco-tourism guide and apprentice of shamanic wisdom. I make my home in Japan where I apply the lessons of my peripatetic life through film-making and transcendent poetry. thnx for sharing your photo..you are more beautiful than i thought.in both words and picture..
Gavriel is a very good poet and a really good friend with many of us. I nominated you for the “Blog of the Year 2012” award. Please go to The Other Side of Ugly at this link http://theothersideofugly.com/2012/12/04/blog-of-the-year-2012/for information. Congratulations! I am deeply honoured dear Angel! Will you share the story about the knight of Jerusalem with me now? Hi Gavriel, I think we met on Facebook last year in a poetry group set up by Nicolas Guy Williams. Glad I found you, there’s top quality poems on here and I see we share similar interests- Romantic and eco-poetry, shamanism. Hello Sir, I just wanted to say that I love your works and I’m constantly inspired by them. I’ve also nominated you for the Liebster Award. Here’s a link to it. 🙂 Thank you for sharing your amazing works. Hi, Gavriel. Welcome to the reader family of diabeticredemption.com. I’m happy you joined us, and I am looking forward to adding your outlook to our conversations. I have a Friends Page, where my readers leave information about themselves and their blogs; I hope you feel free to do the same. Again, welcome! What an interesting life you lead! I look forward to reading more. And thanks for following my blog. i hope you will share your thoughts as you are so moved. In these challenging times it is good to strengthen the webs of connection!